I haven't heard that volume; but the volume I have heard (vol. 3, 1922-1942) is excellent! This is a great performance of a wonderful symphony. I thought VI & IX in that set were exceptional as well. 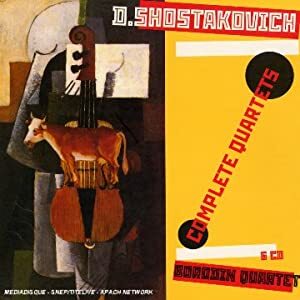 It's been awhile since I listened to them, I would like to go through the symphonies again one by one over the next couple of weeks or so. I have spent so much of my time listening to Beethoven over the last few months that I have neglected Haydn's works. 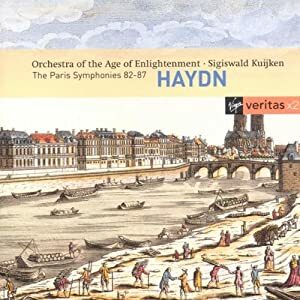 I bought these CDs in February of this year and they are a real treat, they are probably my favourite versions of the Paris Symphonies. The first movement of the 84th is particulary good I feel. bombasticDarren wrote: it was different era and a different orchestra perhaps but the RLPO were capable of great things as evidenced by their perfomance on the Beethoven Symphony cycle under the guidance of Charles Mackerras. 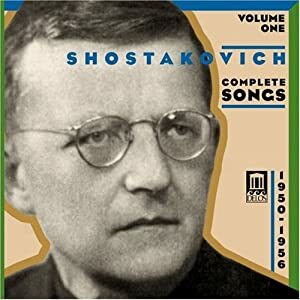 I am watching with interest their recordings of the Shostakovich Symphonies with Petrenko, perhaps there will be a box set in the offing in a year or two, that would certainly interest me. Oh and yes I know I'm not Karl sorry. 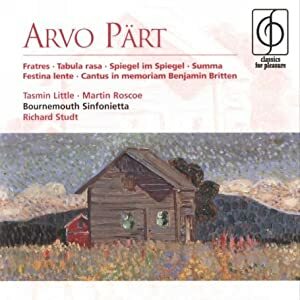 This Naxos CD is one of my favourite CMG recommendations of 2010. 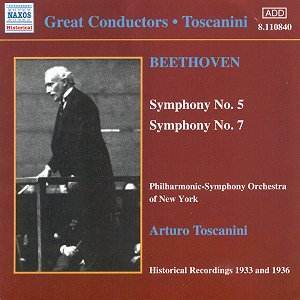 The Seventh was recorded in 1936 and has been beautifully restored, it's a must for all lovers of Beethoven's Seventh. I'm not one to spend a couple of hours listening to an opera from start to finish - Carmen excepted. 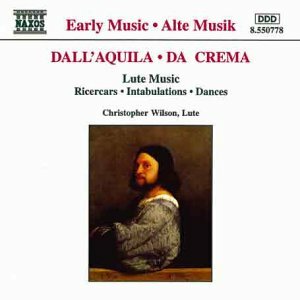 I am struggling with this one not least because I have it in the 170 Mozart CD box set and so I don't, therefore, have the songs and accompanying translations. I do like it though and La Petite Bande do sound very good indeed. I really like both Klára Würtz (in Mozart & Schumann) and Kuchar's directing the Janáček Philharmonic Orchestra (in Nielsen, Smetana, et al), this is a lovely recording too. Last edited by Seán on Wed Dec 29, 2010 6:03 pm, edited 2 times in total. I am not familiar with the original, anyway, this is beautifully orchestrated, I wonder how other CMGers feel about it? I enjoy Schoenberg's orchestrations of Bach very well, Seán. The art of arranging was a core discipline for the Second Viennese School. karlhenning wrote: I enjoy Schoenberg's orchestrations of Bach very well, Seán. The art of arranging was a core discipline for the Second Viennese School. Thanks Karl. I like what I have heard of Schönberg's work thus far. His early orchestrations were sumptious, very impressive indeed. His arangement of the piece by Bach is marvelous. Wow Seán....a marathon listening session; you must have received special leave of absence from "She Who Must Be Obeyed" today....was your good lady wife out shopping with your daughter? Anyway I agree that the Kuijken set is wonderful and those who are not familiar with it should make its acquaintance! Does it differ significantly from the box set Seán? Seán wrote: .... 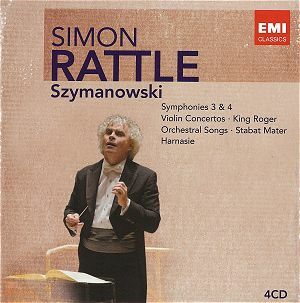 I am struggling with this one not least because I have it in the 170 Mozart CD box set and so I don't, therefore, have the songs and accompanying translations. I do like it though and La Petite Bande do sound very good indeed. I have not heard that version myself Seán but you do seem to have a winning combination there! I prefer this version to the later one. How are you finding the performances on those new purchases of yours Darren? Seán wrote: I prefer this version to the later one. The Mozart box set has some real gems in it, but like I say I don't have easy access to the text and that's a pain. There are several operas with La Petite Bande and Kuijken and some with Mackerras and the Scottish Chamber Orchestra too. Fergus wrote: Wow Seán....a marathon listening session; you must have received special leave of absence from "She Who Must Be Obeyed" today....was your good lady wife out shopping with your daughter? I am on annual leave until the 4th January and I am intent on relaxing and enjoying my time off. I usually don't have time to listen to music and to post here about it too, so the posting suffers. In addition, my two lovely teenage children now have laptops of their own so I have access to ye olde family computer anytime I want. Yes, it has me wanting more. Last edited by Seán on Wed Dec 29, 2010 4:12 pm, edited 1 time in total. Seán wrote: ....In addition, my two lovely teenage children now have latops of their own so I have access to ye olde family computer anytime I want. Piano Concerto in G .
I was not surprised in the least since we now have Brahms' Piano Concerto # 3 and Rachmaninoff's 5th. Last edited by Donaldopato on Wed Dec 29, 2010 6:06 pm, edited 1 time in total. Thanks Don, I do like "Rachmaninoff's 5th" but Brahms?.........pass.....so far, he just doesn't do anything for me, it's me not Brahms. Cosí fan Tutte is the most duplicated work in my collection, well over 40 versions, and it is one of the true miracles mankind has produced. Obviously, there is no perfect recording of this masterpiece, but there are good things in the Kuijken recording: 1.-La Petite Bande and 2.-Soile Isokoski as Fiordiligi. The men though acceptable are nowhere as good. It was recorded live in Spain and there is a sense of purpose, but there are other recordings better sung and better conducted. Harmonia Mundi produced a most handsome version for René Jacobs, it is gorgeously sung by Véronique Gens and Bernarda Fink and Jacobs has a lot of things to say about the score. So far it´s my favorite of all Jacobs Mozart recordings. Perhaps when you have a chance you should investigate it and compare it with the Kuijken. Who says old dogs can´t learn new tricks? yes two of Brahms is quite enough. Seán wrote: Thanks Don, I do like "Rachmaninoff's 5th" but Brahms?.........pass.....so far, he just doesn't do anything for me, it's me not Brahms. josé echenique wrote: .... Harmonia Mundi produced a most handsome version for René Jacobs, it is gorgeously sung by Véronique Gens and Bernarda Fink and Jacobs has a lot of things to say about the score. So far it´s my favorite of all Jacobs Mozart recordings. Perhaps when you have a chance you should investigate it and compare it with the Kuijken. Well, well, well....that is certainly intruiging!!! How does it sound José? 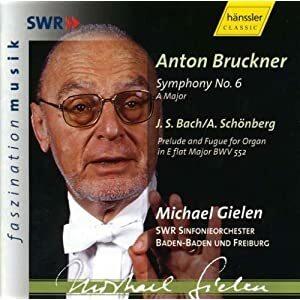 Anyone who is not familiar with this composer would do very well to start their investigations here. There is some really beautiful, melodious music with gorgeous harmonies contained in these smaller secular works. I have had this disc for a number of years now and it is always a joy to revisit. This is a lovely interpretation of this very fine work. I'm looking forward to listening to No. 41 next. That's a very impressive collection José, well done. Perhaps I should have a look out for the Jacobs recordings as you suggest. I find that after Bizet, the Mozart's operas are the most accessible, however, it is difficult to listen to two hours of music without the text, I will persevere with the Kuijken recording over the next few days as I do have the time to do so. It's all very enjoyable really. I don´t know yet Fergus, since it will be released in February, but it´s already been ordered of course! 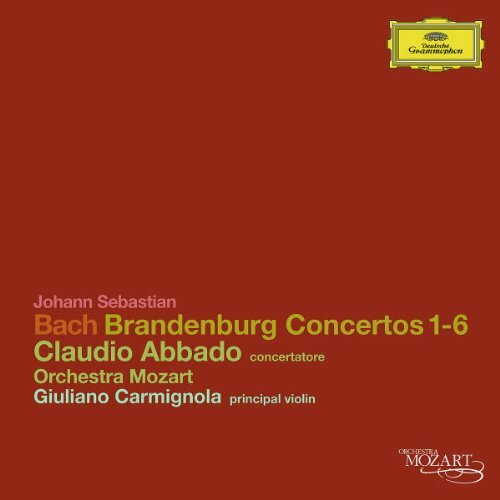 But you can´t help admiring Abbado for keeping up with the times. He knows it´s just not possible to keep performing Baroque Music as Klemperer and I Musici did 50 years ago. Last edited by josé echenique on Thu Dec 30, 2010 9:20 am, edited 1 time in total. That whole cycle was a joy from beginning to end!